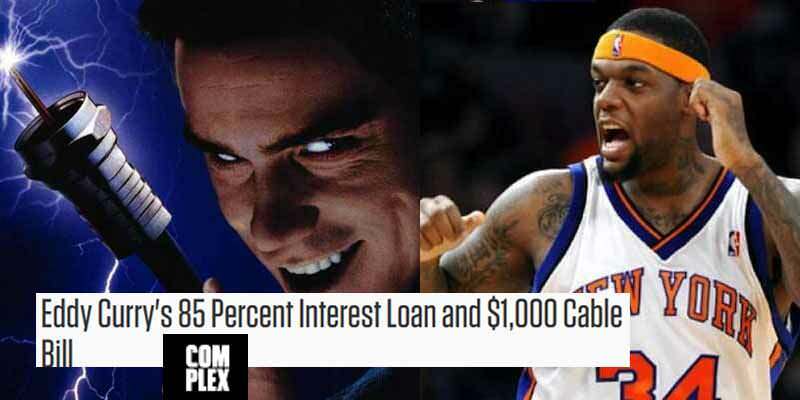 Eddy Curry was so bad with money that he took out a $570,000 loan in Las Vegas in 2008 at 85% interest (nope, not a typo). He then tried to get out of paying it back by giving a handful of reasons why he was unable to do so, including the $6,000/month he paid his personal chef and $17,000 per month on his family and tag alongs. The craziest was by far the $1075 monthly cable and satellite TV bill.